by completing the Application form and sending it to the Society's Secretary, and by setting up a Standing Order with your bank. PLEASE NOTE THE STANDING ORDER IS ONLY £15 /YEAR PER DOCTOR PAYABLE ON JANUARY 1ST EACH YEAR. IF BOTH SPOUSES ARE DOCTORS EACH SHOULD PAY. COMPLETE THE STANDING ORDER AND SEND TO YOUR BANK. We are all immensely proud to be part of one of the oldest medical societies in the world, approaching its 250th anniversary. As costs rise, so do the resources needed to run the events that we all enjoy. 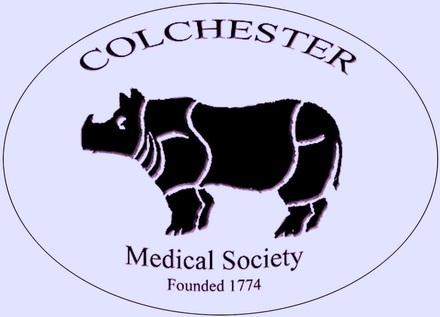 The society also supports good causes such as the Royal Humane Society and the Royal Medical Benevolent Fund, in addition to supporting disadvantaged students that are applying to medical school and archivists that document the history of our local medical history. Our strength is in our numbers and if we all contribute a small amount on a regular basis we can make a real difference, whilst continuing to maintain and develop the relationships between primary and secondary care that are vital for good patient care.